هل يمكنك اخذ باك اب لقاعدة بيانات sql بدون لوحة تحكم Cpanel ? اذن العلاقة هنا مرتبطة بـ php وبالتالى هناك سكربتات اخرى يمكنها عمل باك اب مثلها. لماذا احتاج استخدام سكربت php لاخذ باك اب او عمل ريستور لقاعدة البيانات ? فى هذه الحالة السكربت هيقضى الغرض المطلوب فى اخذ باك اب او عمل restore. 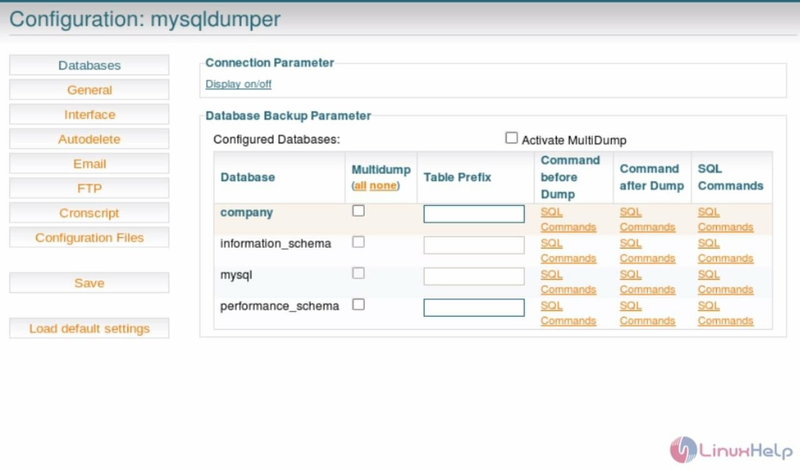 MySQLDumper is a web based backup/restore script for MYSQL which can handle huge dbs. 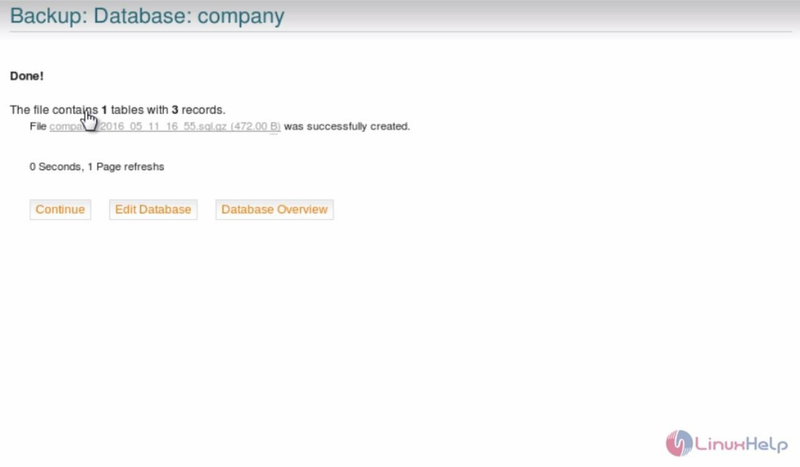 Additionally - like in phpMyAdmin - you can create, drop databases, tables and views or view, search, delete, edit or add fields in an easy to use SQLBrowser. 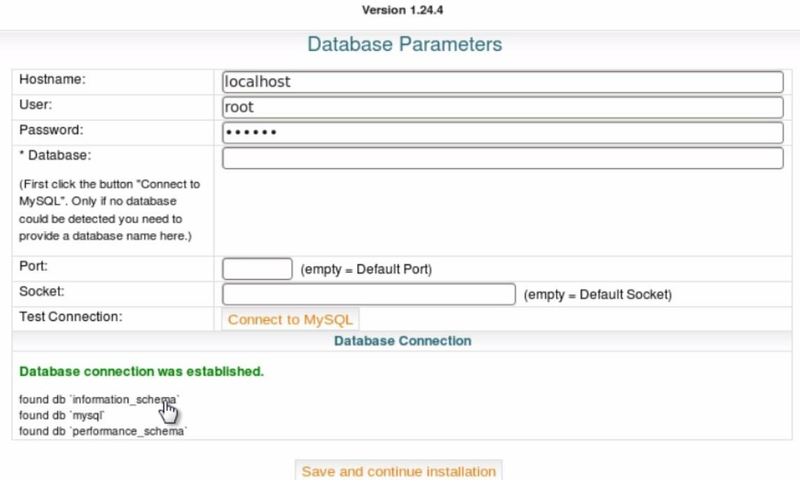 Now the installation page of mysqldumper appears. Choose the language and click Installation. Set the credentials like hostname, user and password of the mysql server. Then click Save and continue installation. Now we have successfully entered into mysqldumper home page. Select backup tab in left side panel. 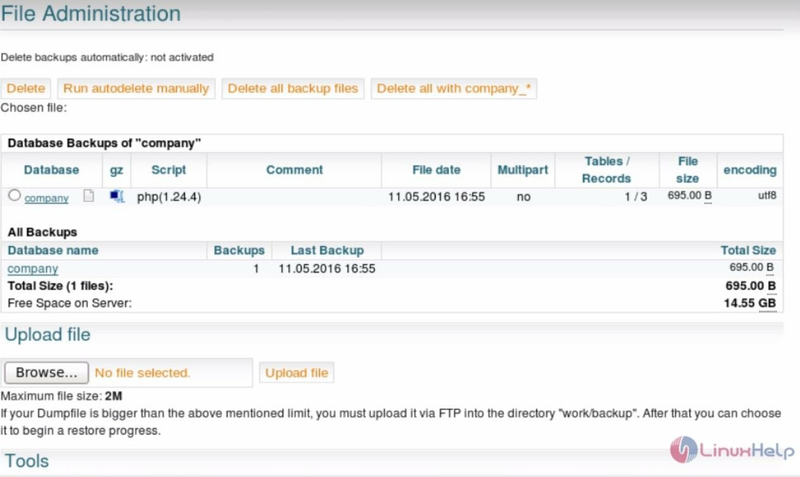 Choose the type of backup as required and then hit start new backup. To restore the backup, Select Restore tab in left side panel and click " choose tables to be restored" button to select the particular table. 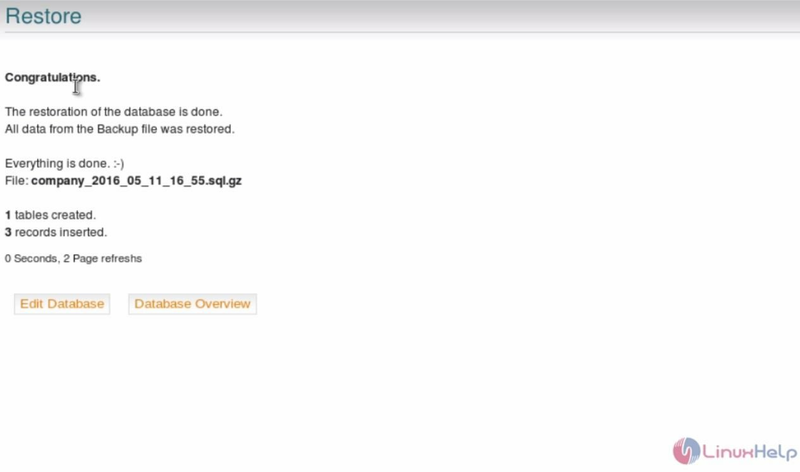 Here, click the check-box of respective table to be restored and click " Restore"
We have successfully restored the database. Now move to home page and click " Create directory protection" . Using Directory Protection, we can protect the home screen with password. 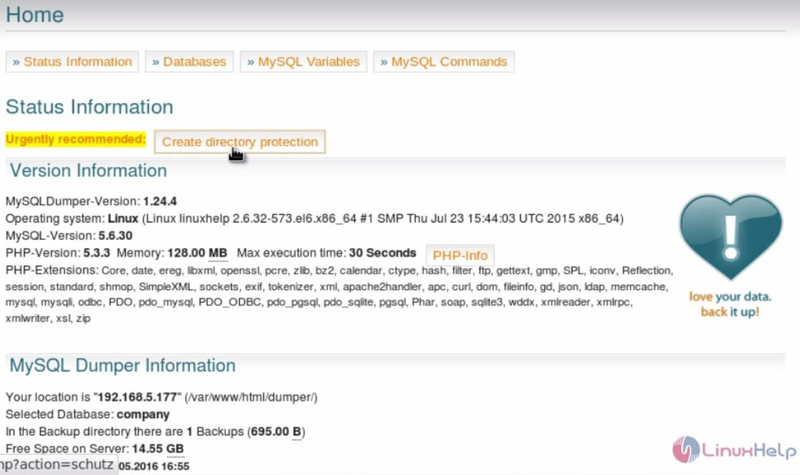 This option will use ‘ .htaccess‘ function on Apache web server. 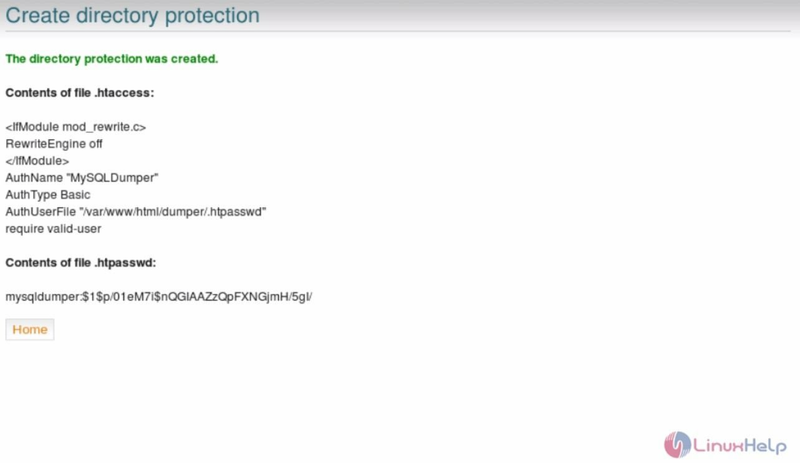 Select the type of encryption and click " Create directory protection" . 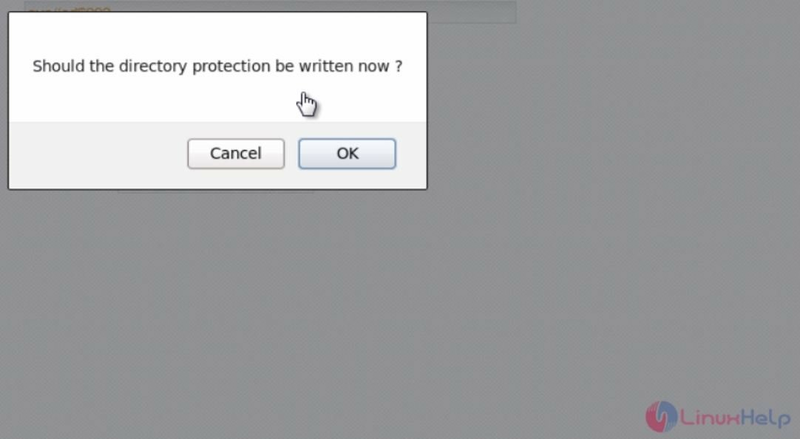 Click Ok to confirm the protection. The directory protection is successfully completed. Now click File administration tab which is used to maintain all available backups and restore. 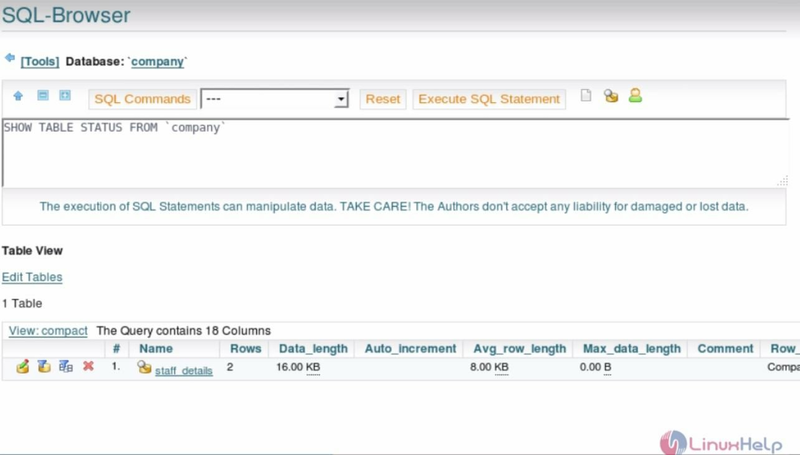 Go to Sql-browser tab if you want to run specific SQL command. Click configuration tab. 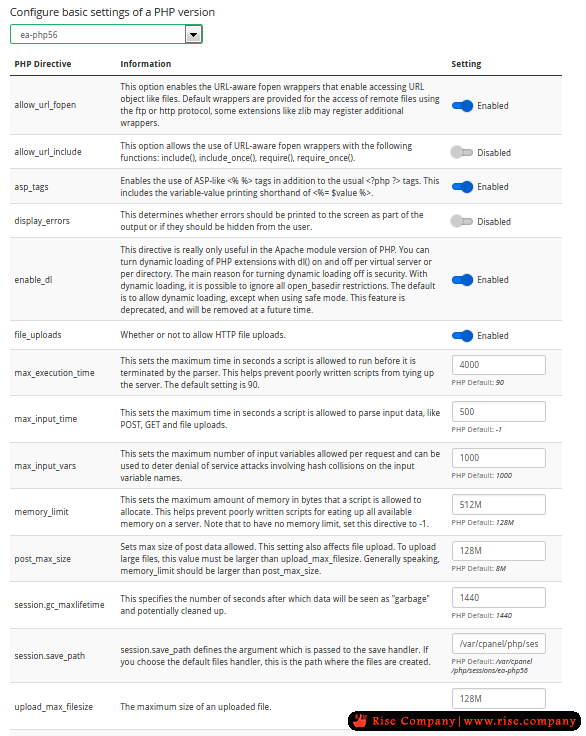 You can configure general settings, email, cron job, and more. 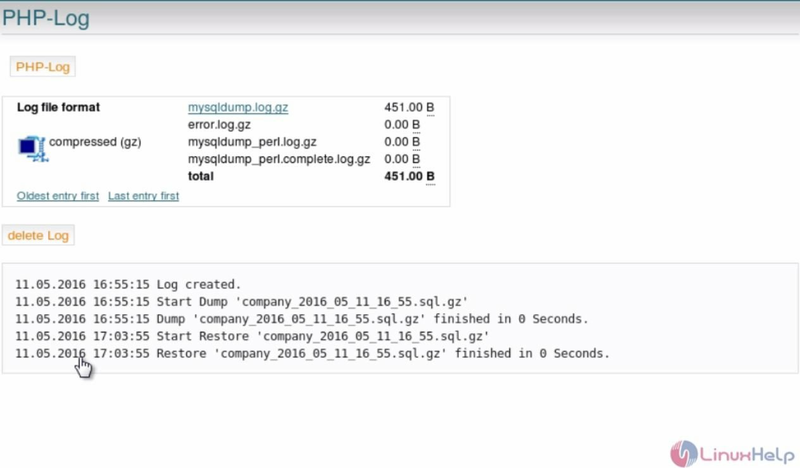 Click log tab to view basic logs. 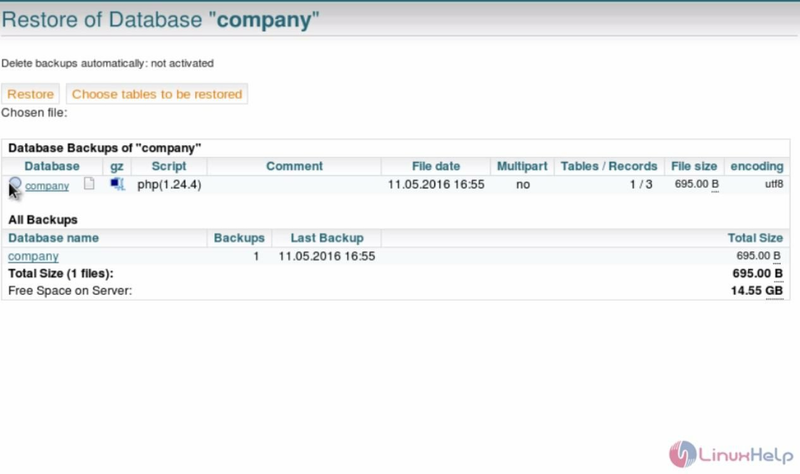 It shows the details such as when the backup was taken, backup restored and much more information about backup logs.